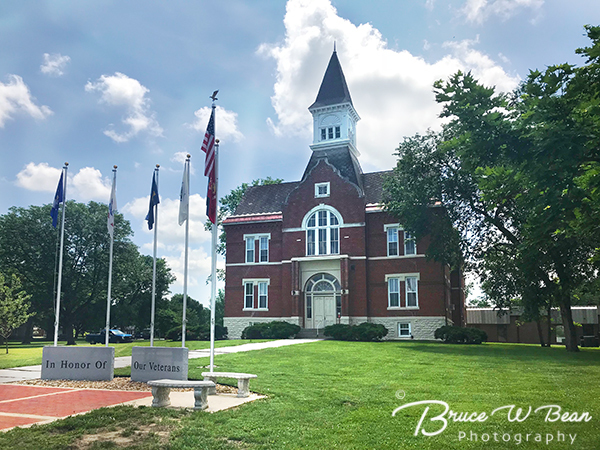 Mound City, the County Seat of Linn County Kansas, is mid-way on an interesting Day Trip route from Kansas City which explores a variety of sites and locations associated with The Civil War. It seems that many are unaware that both Kansas and Missouri were actively involved in Civil War actions Today, visitors to the Kansas City area can follow and explore the actions of the Battle of Westport which took place primarily within what is today Kansas City, Missouri. 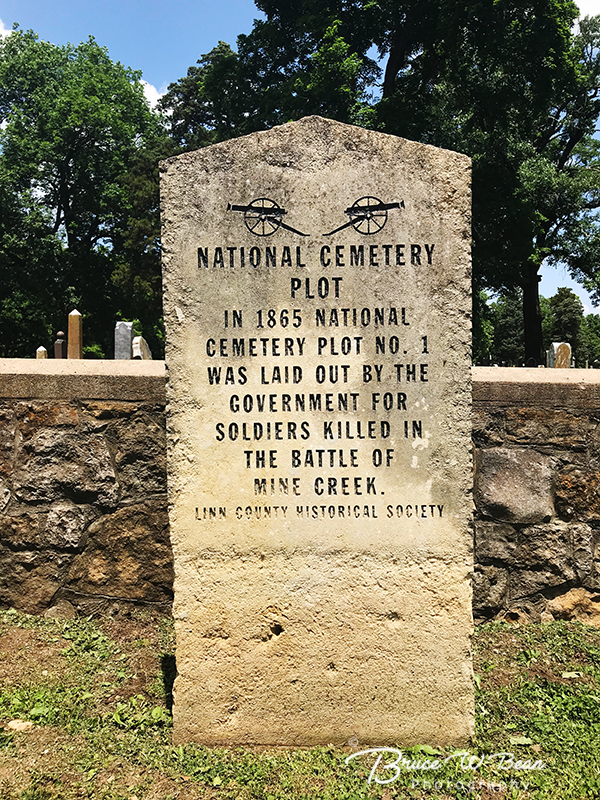 Visitors and locals alike can also explore an interesting Civil War Day Trip route south of the city. The Civil War Day Trip route is described and outlined in a previous article, Civil War Day Trip. 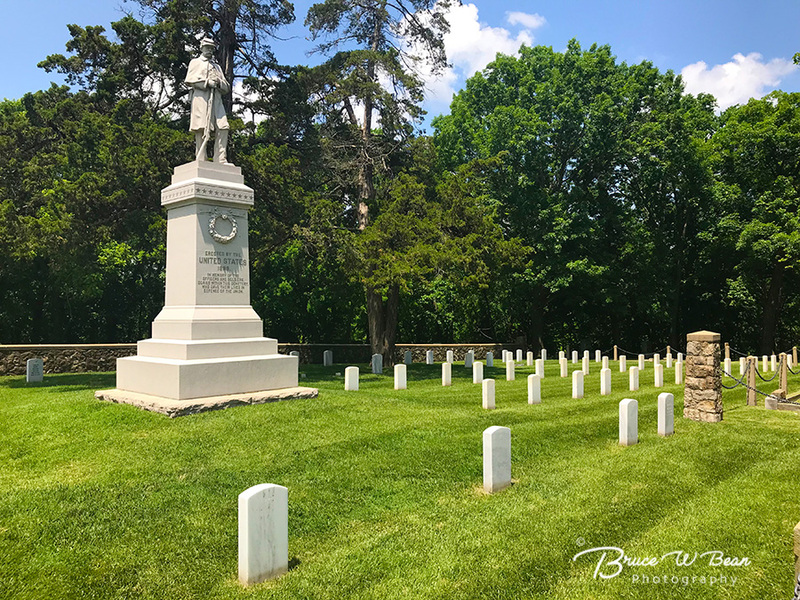 Specifics and details regarding several stops along the way are covered in two other articles – KANSAS CITY TRAVEL – TRADING POST VILLAGE & THE MARAIS DES CYGNES MASSACRE and Battle of Mine Creek – Kansas City Civil War Day Trip. Mound City, Kansas is located a few miles west of the Mine Creek Battlefield area. It makes a great spot to take a mid-journey break, rest up a bit, and grab a bite to eat. I always enjoy checking out local eating establishments on journeys such as this. 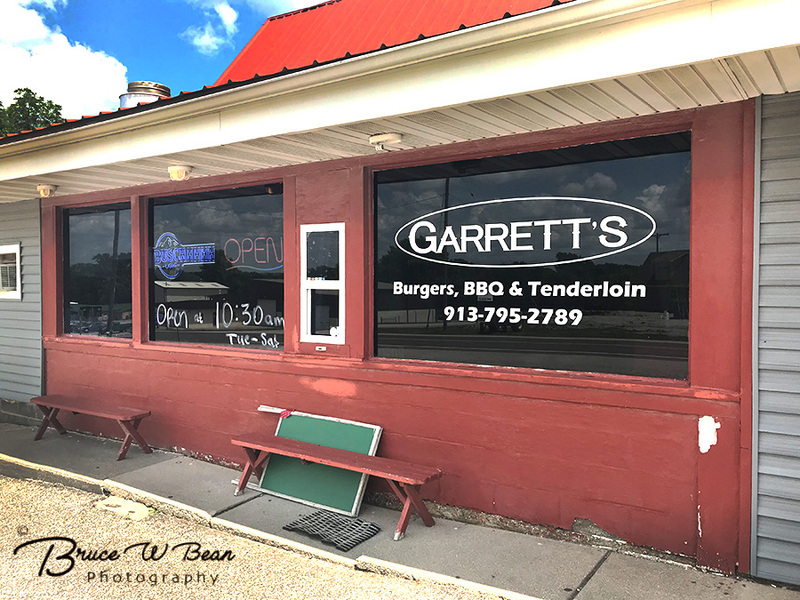 In Mound City I stopped in at Garrett’s – a local place serving up, as the sign below indicates, Burgers, BBQ, Tenderloins as well as a variety of other tasty treats. 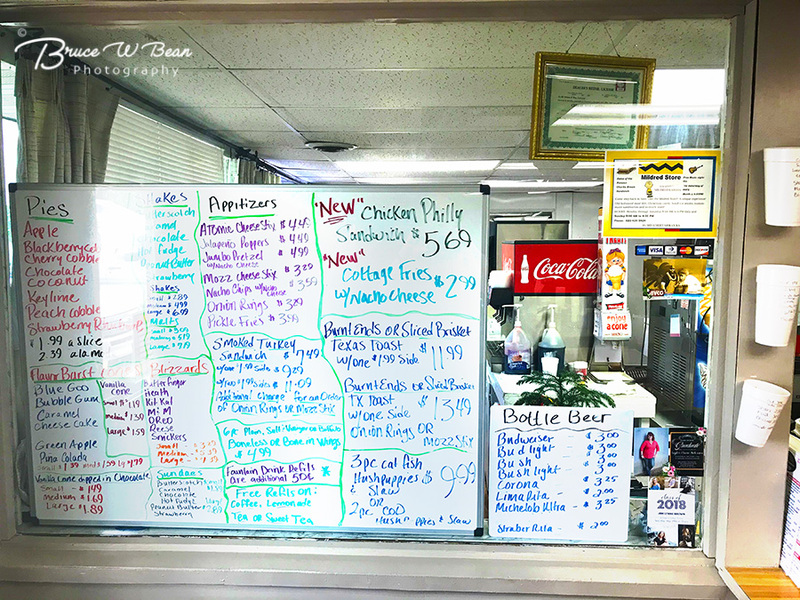 Their menu is apparently somewhat changeable – most of it is written on a dry erase / white board. 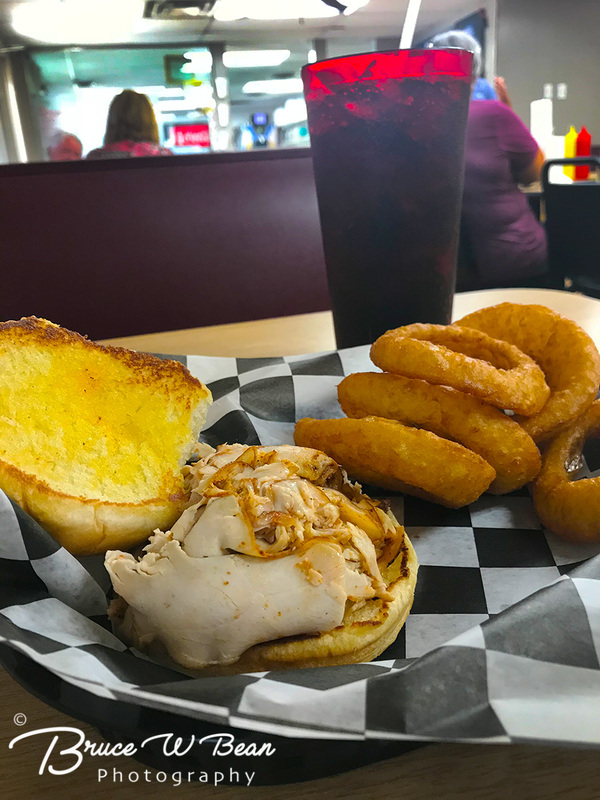 I went with the smoked turkey sandwich, onion rings and a coke. Excellent. Very tasty indeed. After lunch, visitors can check out a few places in Mound City. The Country Court House – seen in the photo at the top of the page – is a classic building in the center of town. 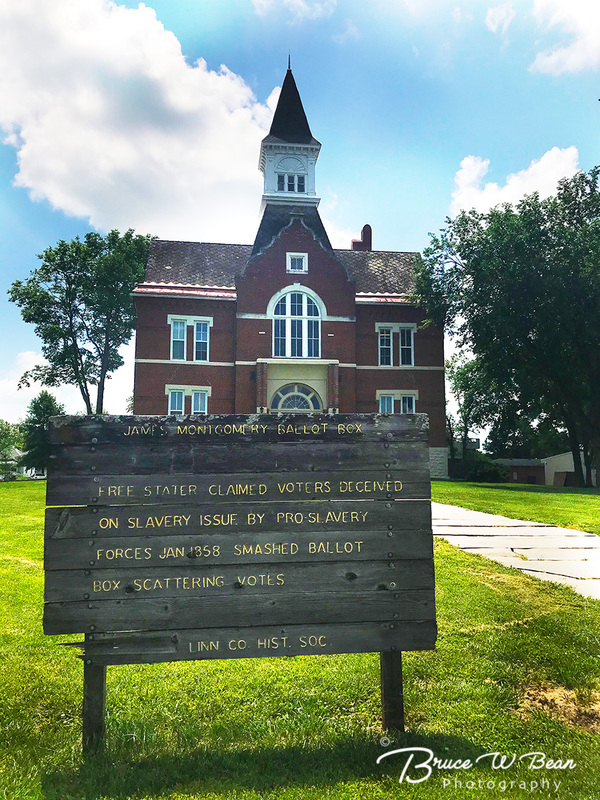 A sign out front recalls events and conflicts associated with the Free State Kansas Vote which occurred after Kansas entered the Union. In 1858 Free Staters claimed that Pro-Slavery advocates deceived voters. As a result they smashed the ballot boxes and scattered the ballots. 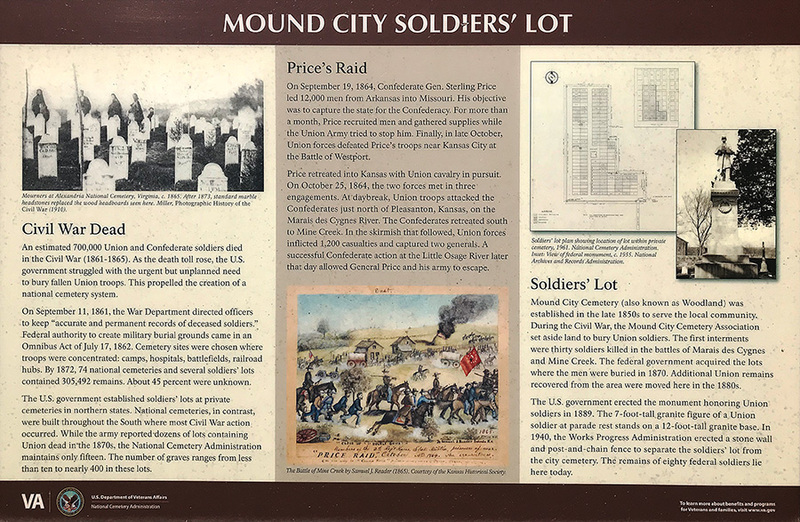 A nearby sign seen below explains the cemetery plot and also describes the area’s history related to Confederate General Price’s retreat south from Kansas City after the Battle of Westport and the Battle at Mine Creek as his forces returned to Arkansas. Mound City makes a nice rest stop on the Civil War Day Trip south from Kansas City. 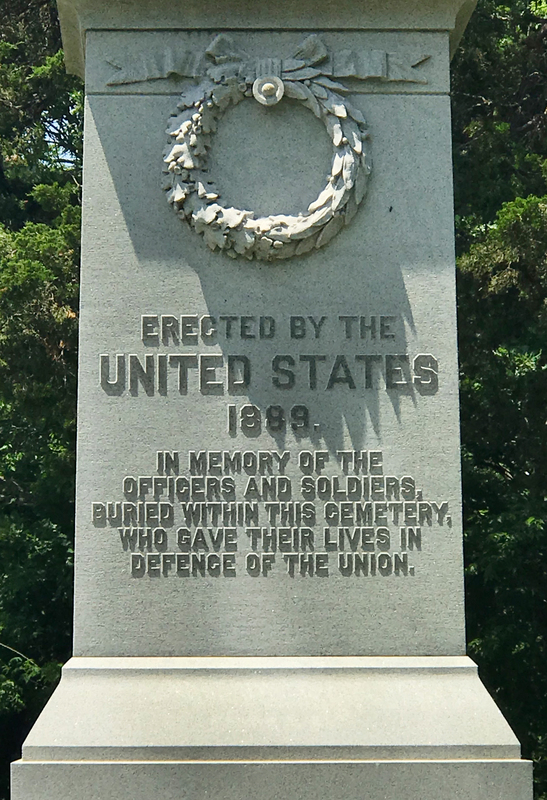 It’s a fine place to have a good lunch and and also visit the Civil War areas of the local cemetery. 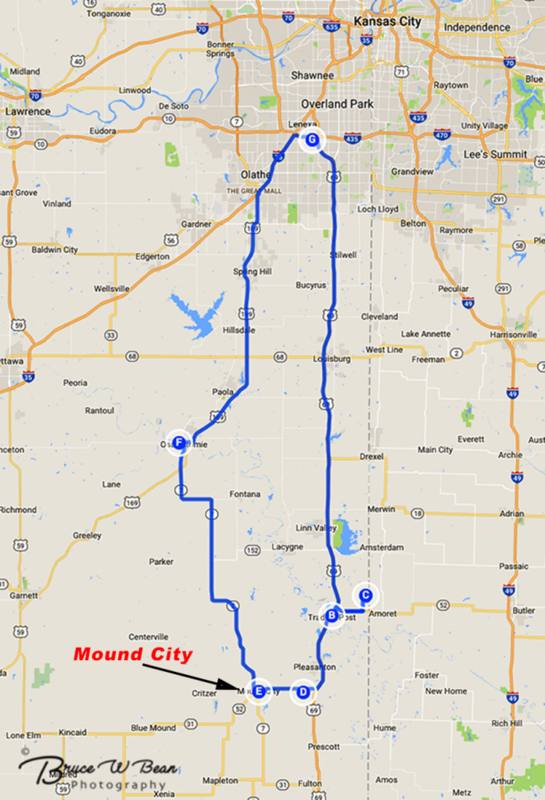 From Mound City the Day Trip Route turns back to the north,.Be sure to check back for the next article describing the Day Trip as it travels through some classic Kansas farm land heading toward a location steeped in the history of the Civil War’s John Brown. Take A Civil War Day Trip from Kansas City ……….. And Enjoy the Adventure!